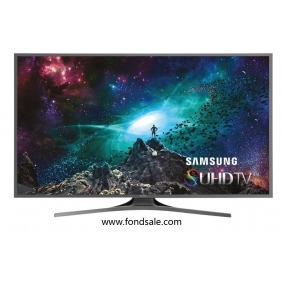 This Product is discount with Half price for sale During china 2016's Nov 11 online shopping carnival, Buy from www.fondsale.com Description The Samsung UN55JS7000 Internet TV measures an impressive 55 inches. With a native resolution of 2160p, this TV gives you bright visuals with an enhanced contrast ratio. It features a NANO Full LED display that brings colors to life. In addition, its UHD dimming function ensures pristine whites and rich blacks, bringing out accurate detail in every frame. You can connect entertainment devices to it, using its four HDMI ports. Watching sports and action sequences are a delight, as this TV has a motion rate of 120. Product Identifiers Brand Samsung Model UN55JS7000 MPN UN55JS7000FXZA UPC 887276130064 Key Features Display Technology NANO Full LED Screen Size 55" Resolution 2160p Smart TV Features Downloadable Apps, Internet Browsing, Smart Hub, Signature Services, Smart Content, ConnectShare, AllShare, Built-in Wi Fi Dimensions Height 28.3 in.